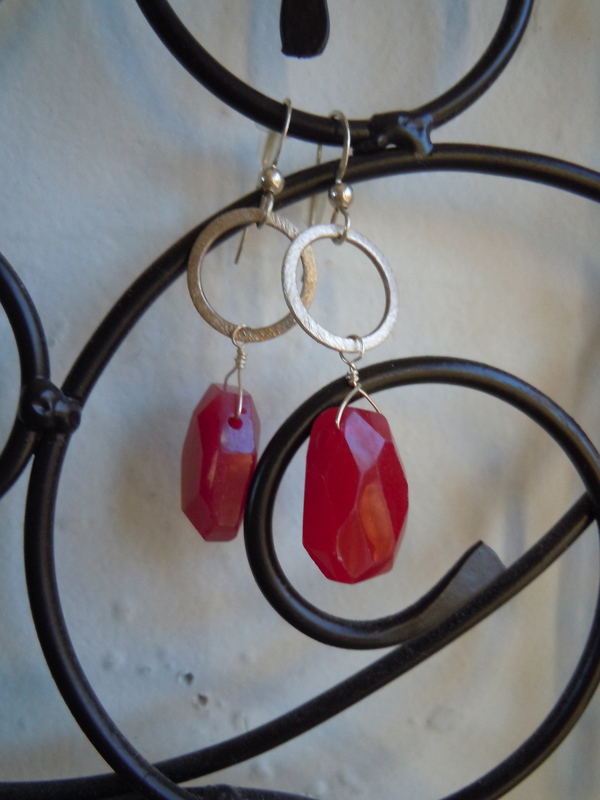 I love jewelry, particularly earrings. My problem arose when I realized that I was not utilizing my jewelry to its full advantage. I would get into the habit of wearing one or two pair of earrings over and over, forgetting about other options. When I moved into my place for the summer, my friend was kind enough to lend me some decorating items for the bare walls. One piece was this wire scroll thingy, which I hung on the wall intending to put pictures on it. Ta da! 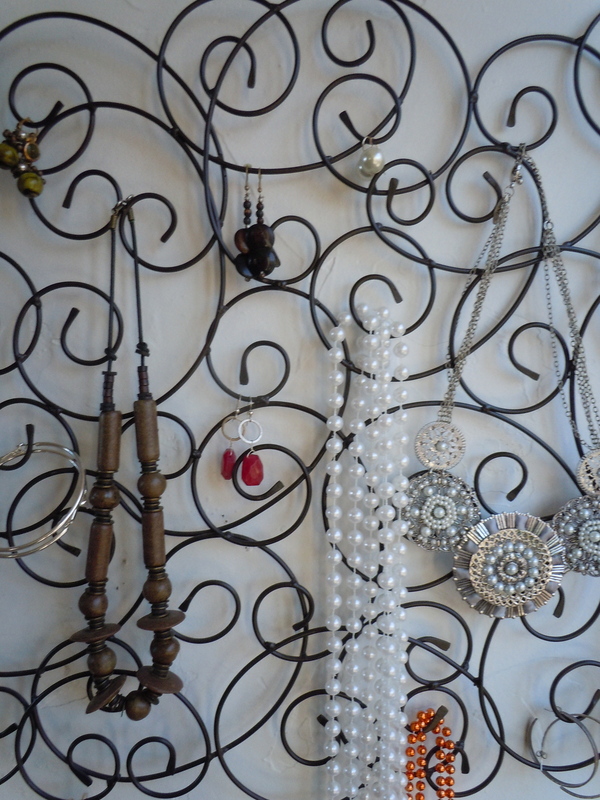 The bends are the perfect place to hang earrings and necklaces. 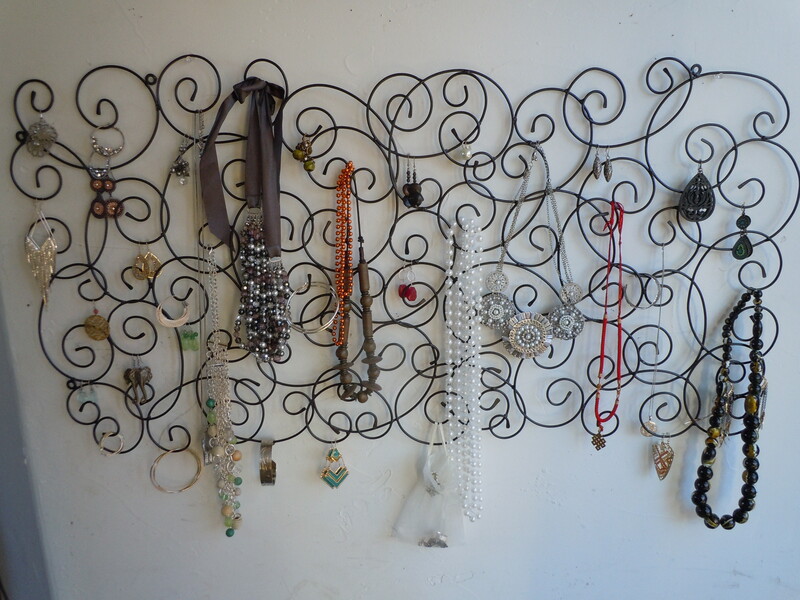 For the smaller pieces and rings, I put them in a small pouch and hang that, too. This is probably the easiest “craft” project I’ve ever done. I feel a bit like I’m cheating with this post, but it’s so nice to find alternate uses for things that I already have at home. Take a look around–do you have items that can be transformed? Tags: art, display, jewelry. Bookmark the permalink.